In 2004, then-DaimlerChrysler found themselves on some seriously infirm footing. With a stale lineup of tepid automobiles that ranged from the awful PT Cruiser to the languid rental special Sebring, Chrysler once again found themselves saddled with a lineup bereft of competitive vehicles, and was instead a brand buoyed aloft by the perennial success of its sister brands, Dodge and Jeep. 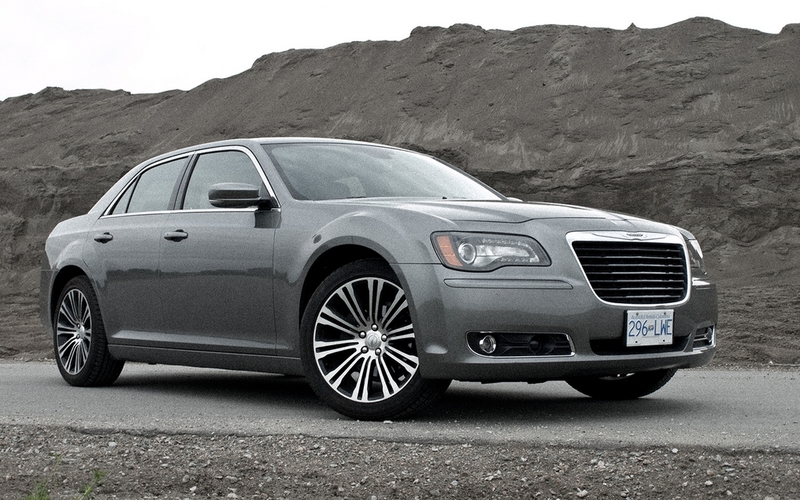 And then came the revamped Chrysler 300. Pairing its chassis' Mercedes Benz provenance with the legendary Hemi tradition, the brick-shaped and bunker-like 300C singlehandedly brought Chrysler back not only from the brink, but also to the fore of the American automotive consciousness. And it did all this despite being a piece of crap. You see, although it's burly bodywork, Benz-sourced chassis, and Hemi V8 might have walked the good walk, its well-designed interior was doomed to remain far less than the poorly assembled sum of its terribly rendered parts. And although its combination of looks and power might have been enough to carry it through at least a few years' worth of solid sales figures, Chrysler knew exactly what to put at the top of the priority list when it came time to revamp their most recognizable product for the 2012 model year: the interior. And the result is an astounding success. Even experienced in its slick, midmarket, youth-inspired 300 S variant, the new interior is an absolute epiphany to behold. Trading staid chunky design features and rock-hard plastics for foam-backed soft-touch vinyl surfaces and a thoroughly modern, flowing design, it's everything the original 300 wasn't... and is all the better for it. As mentioned, the S trim package I had the pleasure of sampling is targeted at a younger audience than the typical ultra-lux 300 C, so it forgoes the bright chrome and wood trim of the latter, instead using piano black trim and a sort of faux carbon fiber trim on the centre console. It looks very, very good, and definitely channels a bit more of a sporting attitude than the brighter trim of the upscale C model. However, being quite complicated and devised of various pieces assembled as one unit, it's also quite difficult to keep looking it's best. The center console, for example, houses a piece of chrome trim that surrounds the tiny shifter gate. Inset into the console itself, the junction between the two ends up being a great place for grit and grime to collect and is nigh impossible to clean out. Similarly, the tiny chrome tabs between the buttons look damned good, but are tough to clean up. Same goes for the piano black trim that borders nearly everything; it might look great when it's clean, but good luck keeping it smudge free for more than fifteen minutes. That being said, in actual use, the entire cabin works fantastically. Having occasion to use the 300 to ferry around four groomsmen, including myself, it's spacious interior was an absolute godsend, ensuring that the 20 hour marathon of wedding festivities didn't end in a personal space-motivated bloodbath. Similarly, having taken place in Vancouver in early July, it was of course raining, making both the omnipresent seat heaters and the cavernous, umbrella-swallowing trunk real boons. Speaking of which, the method by which one gains access to the trunk is equally worthy of praise, even if it is a tiny, tiny feature many will take for granted: with the depression of a tiny but very accessible button sitting in the right hand of the centre mounted stop light, the trunk lid opens without any assistance, which is nice when your hands are full and a finger's all you can spare. Sadly, it's not all as well thought out as that though, and I quickly tired of the weird ratcheting shifter mechanism. Similar to the electronically actuated system found in the latest BMWs, the Chrysler shifter offers significantly more resistance and requires the shifter button to be pushed between neutral and drive, so it's easy to snap from park to neutral instead of drive, or from drive to park, when you're looking for reverse. However, once you've got in drive, it's easy to forget how difficult it was to get there. Although the Hemi is sure to be the powertrain preferred by driving enthusiasts, the 300 horsepower V6 does well to motivate the big sedan, especially when given a chance to breathe deeply. It sounds good too; induction and exhaust combining for an almost Infiniti-like V6 howl. With such large wheels and tires at all four corners, it's easy to forget that its natural state is as a rear wheel drive sedan, but given enough velocity, it will communicate a desire to push the rear end out in corners, especially under braking. That's probably due in no small part to the nearly ridiculous quick-steering and grippy front end that dives into corners with almost alarming alacrity. Giving the car a nimble quality that the old one certainly never had, it feels light on its feet and eager to please. In short, nothing like how you would expect it to feel. But what's perhaps more surprising still is just how well it balances this newfound youthful vitality with the composed and smooth ride that the 300 has always had. Be at 10 kilometres per hour or 100, it irons out the road in an almost imperious way. Big undulations, small rough patches, broken pavement, and cat's eyes are all swallowed up by the independent suspension perfectly, leaving the occupants undisturbed. It's not the quietest car on the road by any stretch, with those giant wheels whipping up quite a bit of road and wind noise that permeates the rear wheelarches too easily, but it's far from overbearing. And if that's the only price to be paid for its composed and nimble driving manners, it's a good trade off. With the dramatic revisions made to both its on-road attitude and its interior, the 300 has finally blossomed from a burly, brick-like paper tiger saddled with bargain basement interior materials and sluggish handling into a burly, brick-like success imbued with a luxurious cabin and downright European manners. By retaining the best bits and throwing out the rest, Chrysler's created a car that's wholly deserving of its proud letter car title, and one that's far more competitive than its predecessor. And although it may take some time to gain as much traction as did its forebear, this car represent a great step towards engendering a sense of loyalty and respect for Chrysler in an entirely new generation of car buyers.